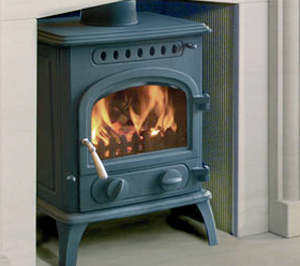 Manufactured in Ireland, Firewarm Stoves, offer a wide range of features for excellent value for money. Using the very best high temperature glass and combining this with Firewarm Stoves combustion technology, they are able to deliver consistently clean glass. This allows unrestricted viewing of the beautiful flame through the large glass window. Available in three sizes, these extremely high quality Firewarm Stoves come packed with features that are normally found on much more expensive stoves. Each Firewarm Stove is carefully designed and built and then undergoes extensive checks before leaving the factory. Unfortunately, we no lnoger supply the Firewarm stoves, but we have stocks of many other manufacturers with similar specifications.